08Case Study: Uranium in Queens? and a regular correspondent for defence publications in six countries. Known primarily as a military alliance, the North Atlantic Treaty Organization (NATO) is also heavily involved in civil disaster response through its Euro-Atlantic Disaster Response Coordination Centre (EADRCC) which is NATO’s principal civil emergency response mechanism in the Euro-Atlantic area. It is active all year round, operational on a 24/7 basis, and involves NATO’s 29 Allies and all 21 Partners for Peace (PfP) member countries. The Centre functions as a clearing-house system for co-ordinating both requests and offers of assistance mainly in case of natural and man-made disasters. Located at NATO Headquarters in Brussels, all the EADRCC’s tasks are performed in close co-operation with the United Nations Office for the Coordination of Humanitarian Affairs (UN OCHA), which retains the primary role in the co-ordination of international disaster relief operations. In the case of a disaster requiring international assistance, it is up to individual NATO Allies and partners to decide whether to provide assistance, based on information received from the EADRCC. In 2004, the North Atlantic Council, NATO's principal political decision-making body, widened the EADRCC’s mandate to respond to assistance requests. To date, four Gulf Cooperation Council countries have joined, Bahrain, Qatar, Kuwait and the United Arab Emirates. Based on the principle of inclusiveness, the Initiative is open to all interested countries of the broader Middle East region that subscribe to its aims and content. The Centre keeps track of the assistance offered, including assistance from other international non-NATO organisations and actors, assistance accepted by the stricken country, delivery dates and assistance still required or updates to the assistance requested, as well as monitoring the situation on the ground. This information is circulated to NATO and partner countries in the form of situation reports, and is also published on the EADRCC website. The Centre has responded to many requests for assistance received mainly from states stricken by natural disasters but also to help with the consequences of chemical, biological, radiological or nuclear (CBRN) incidents, which includes terrorist attacks. In addition to its day-to-day activities and the immediate response to emergencies, the EADRCC conducts annual large-scale field exercises with realistic scenarios to improve interaction between NATO and partner countries. Regular major disaster exercises have been organised in different participating countries to practise procedures, provide training for local and international participants, build up interoperability skills and capabilities and harness the experience and lessons learned for future operations. Since 2000, the EADRCC has conducted on average one large consequence-management field exercise every year and started in 2016 a new line of exercises using virtual reality technology. Virtual reality is a big part of the future and NATO is using it to complement its conventional table-top and field exercises. 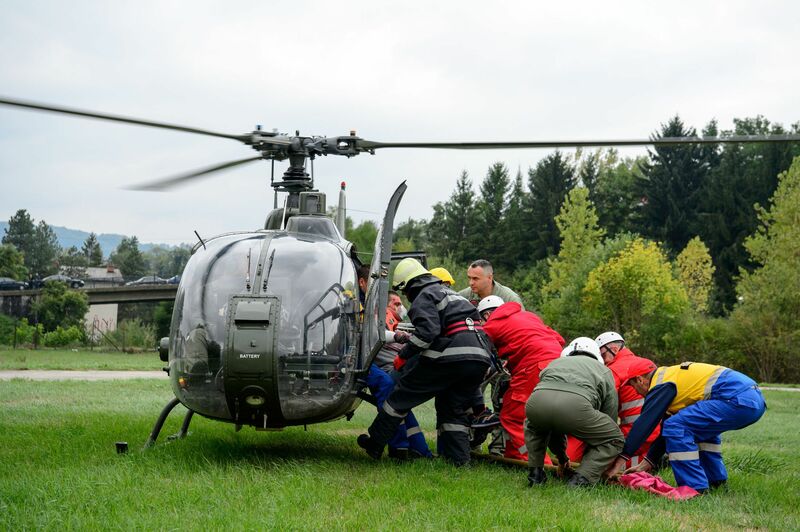 In September 2017 disaster response personnel from 34 NATO and partner countries gathered in Tuzla, Bosnia and Herzegovina for that year's EADRCC’s field exercise. Over a five-day period, around 1,200 participants from NATO and partner countries tested international co-operation and interoperability in disaster response, including water rescue and CBRN detection, protection and decontamination. The exercise provided the opportunity to test and employ projects supported by the NATO Science for Peace (SPS) Programme. Following the request for international assistance during the exercise, 10 CBRN teams, from Armenia, Azerbaijan, Italy, Montenegro, Romania, Spain, Republic of Macedonia, Ukraine and the United Sates, were deployed. 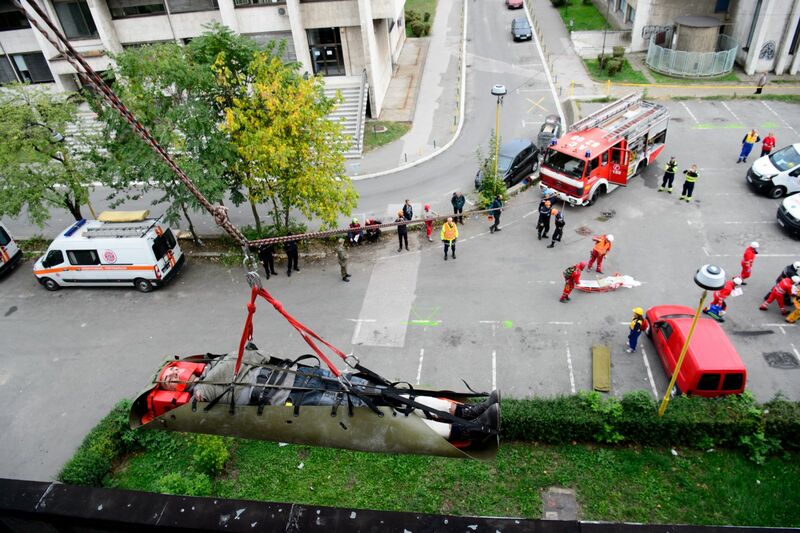 Several international organisations and NGOs were also involved in the exercise, including the United Nations Office for the Coordination of Humanitarian Affairs (OCHA), the European Union (EU), the NGOs Save the Children and the Red Cross Society of Bosnia-Herzegovina. The 18th EADRCC consequence management field exercise, called ''SRBIJA 2018” will be jointly organised by the EADRCC and the Ministry of the Interior of Serbia this year. The exercise will be conducted from 8 to 11 October 2018 in and around Mladenovac, Serbia and the aim of the exercise will be to improve interoperability in international disaster response operations. The choice of an earthquake scenario is linked to the type of geological and environmental challenges faced by Serbia. The scenario for exercise “SRBIJA 2018” will provide an opportunity to practice international co-operation and strengthen the ability of teams from different nations to work effectively together across a wide range of relief operations. These will include urban search and rescue, medical/paramedical teams, and importantly in view of recent events, CBRN protection, as well as decontamination teams and water rescue teams. The teams wilI include 130 CBRN personnel from Armenia, Azerbaijan, Belarus, Bosnia-Herzegovina, Georgia, Moldova, Pakistan, Turkey, Slovakia, Ukraine, the US Army and the US Air Force. There will also be five CBRN experts from US Defense Threat Reduction Agency (DTRA) and participation of remote players includes the Joint CBRN Defence Centre of Excellence at Vyskovand in the Czech Republic.